Fishing rods are far more useful than most players realize. Obviously, their primary use is to catch fish, which are abundant and a good source of food. But fishing rods can also reel in junk or treasure (just as in real life). An unenchanted rod has an 85 percent chance of catching fish, a 10 percent chance of catching junk, and a 5 percent chance of hauling in some treasure. The odds of catching treasure increase with enchantment. Treasures include a bow, an enchanted book, an enchanted fishing rod, a saddle, name tags, and lily pads. Ironically, the junk may not be worthless. If you reel in sticks, string, leather, or tripwire hook, you can use all these items in other recipes. You can also use fishing rods to hook mobs, boats, and minecarts or to activate pressure plates. Like other tools, such as swords or pickaxes, a fishing rod has limited durability and can be used only 65 times before breaking. 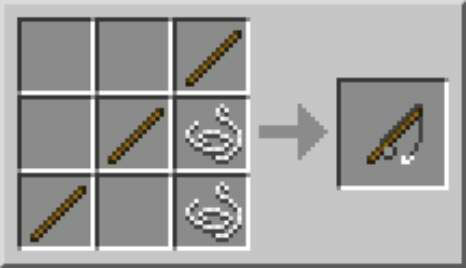 To craft a fishing rod, place 3 sticks in an upward diagonal with 2 strings in the lower right blocks. Fishing while raining increases the chance of making a good catch. A bucket is a useful tool for carrying milk, water, and lava. Milk buckets are used in the cake recipe, and you can drink the milk in a bucket to offset all effects — most notably, poison. Buckets are also used to carry water, which can then be dropped as a block back into the environment. This feature becomes quite handy in farming. Water buckets are also used to fill cauldrons for potions and to put out fires. 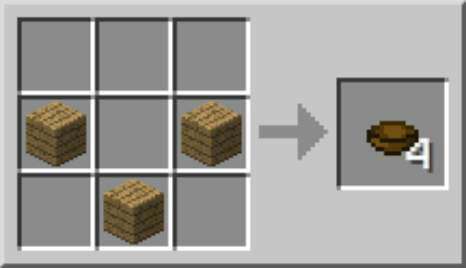 Lava buckets let you transport and drop the lava back into the environment, which can be used to create a barrier against a mob, to produce obsidian or cobblestone, to create weapons, and as a long-lasting fuel source for a furnace. A bucket is crafted by placing 3 iron ingots in a V pattern in the grid, roughly forming the shape of a bucket. Bowls have limited usefulness because they’re used only to hold mushroom stew and beetroot soup. (They can also be used to milk a mooshroom, which produces stew, not milk.) Bowls cannot be used in place of buckets to hold milk, lava, or water. A mooshroom is a cow found in the mushroom biome. It is red, with white spots, and has brown and red mushrooms growing on it. To craft 4 bowls, place 3 wood planks in a V shape. Both mushrooms and bowls are stackable so, in a mushroom-rich biome, harvesting and stacking them in your inventory can provide an excellent portable food source. Shears can significantly increase wool production by allowing you to shear a sheep for up to 3 blocks and leaving the sheep alive to regrow more wool. 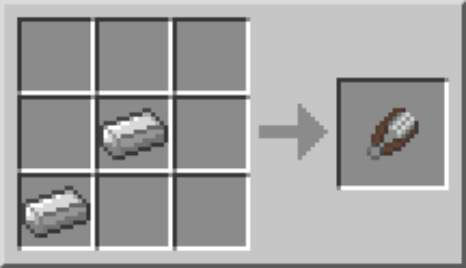 Without shears, you can harvest wool only by killing a sheep, yielding 1 block of wool. Many players create sheep farms, occasionally dyeing the sheep and, consequently, the wool for use in redstone or other recipes. Shears can also be used to harvest leaves, grass, ferns, bushes, and vines. Shears are used to collect string from cobwebs and to cut a tripwire without creating a redstone pulse. Technically, shears can clip the red mushroom off a mooshroom, which would change it back into a normal cow. However, mooshrooms are rare and valuable, so you would be unlikely to do that. Like most tools, shears lose durability over time and can be enchanted on an anvil. 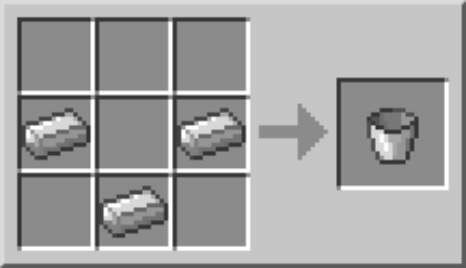 To craft shears, place 2 iron ingots in an upward diagonal.